2. 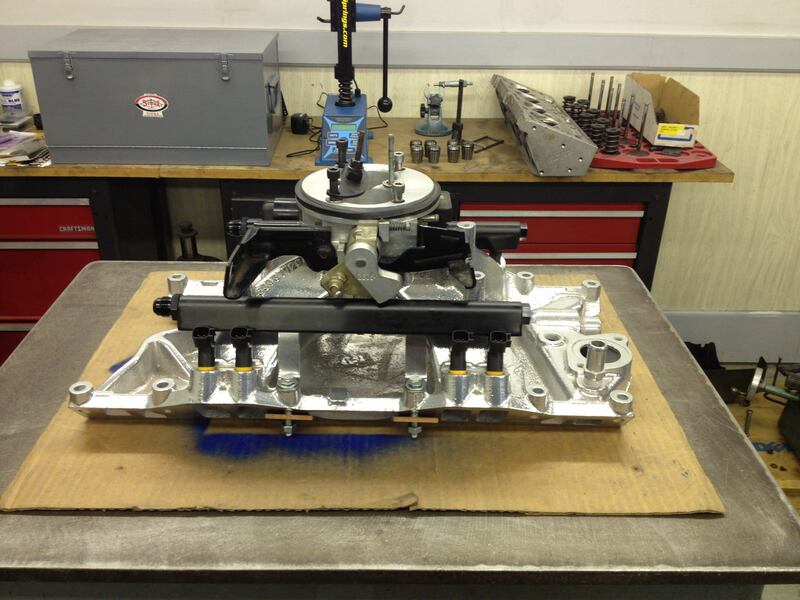 The arrangement of mounting bosses is different from the Mopar aftermarket 2-bbl. 3. The plenum is not as tall. 4. The intake ports at the flange are extremely square and accurate. 5. 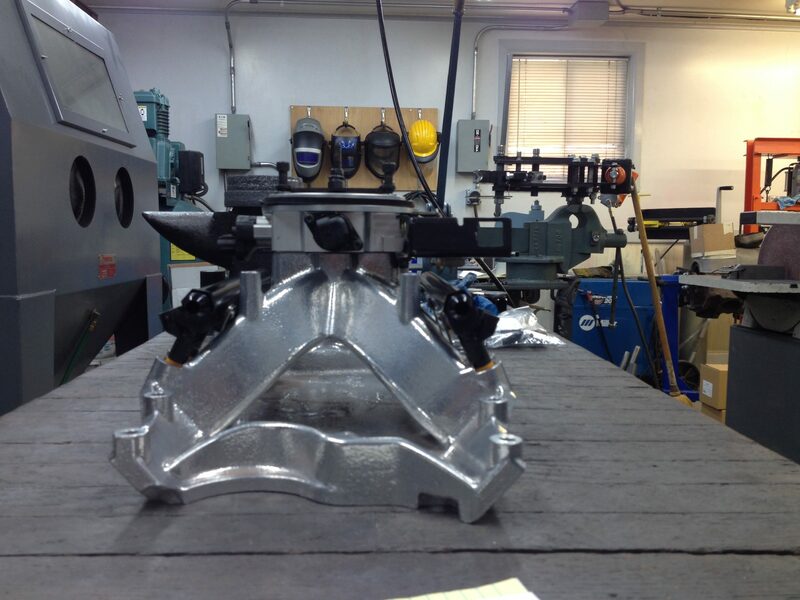 And most notably, the injector bungs are cast and machined at a 23-degree angle where the OEM and other aftermarket intakes (Airgap, M1 4-bbl, and M1 2-bbl) have a 13-degree angle. 6. There are other minor differences as well. I wonder if this intake may have been a prototype that found its way out of the scrap heap back in the day? To make fuel rails fit beneath the 52mm throttle body linkage without a spacer, I used the shorter Hemi 30# injectors, and sunk the injector ports further into the fuel rail. 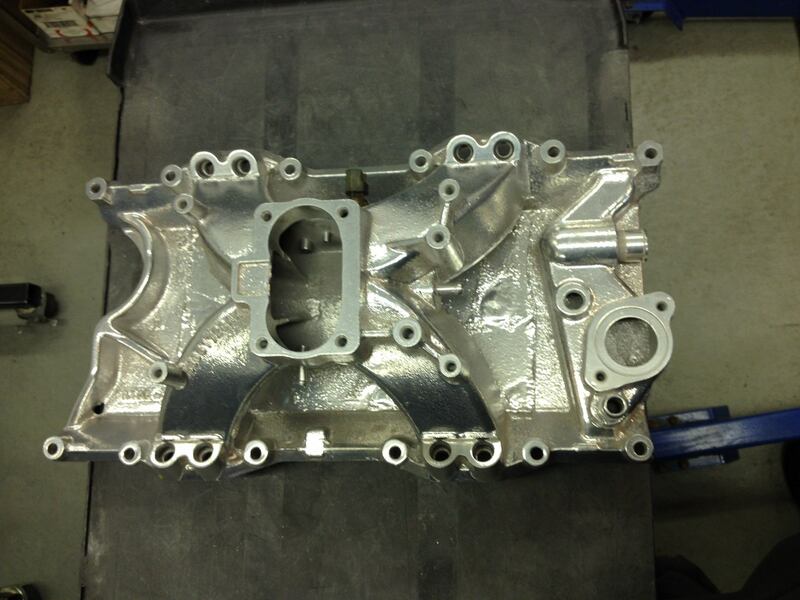 The 6AN fuel rails were also machined with 8AN ports for 8AN fittings. 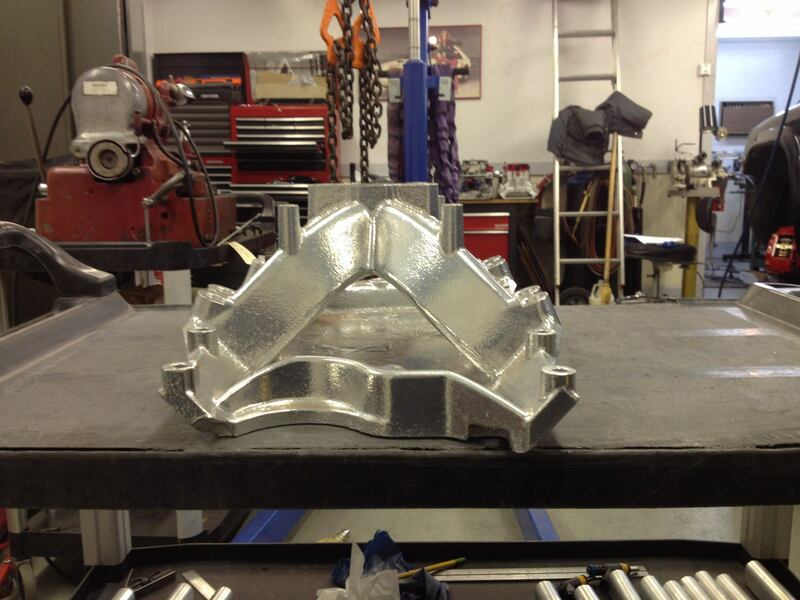 This intake was more of a challenge due to the extreme injector angle and short plenum. 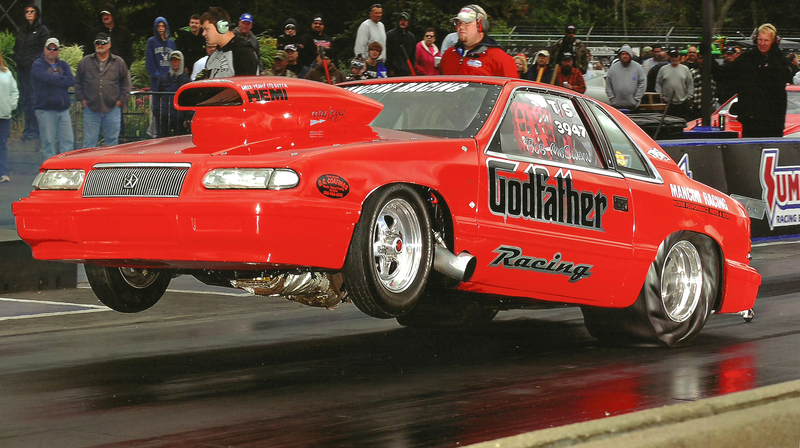 The engine was built by Godfather Racing in Fraser, Michigan. Wow! Rare indeed. I researched and I can't find anything on it. I wonder if it was for a prototype Police motor or Shelby Dakota or maybe saved from a scrap yard from one of the Concept cars that Chrysler crushes. The only reason I bring up concept vehicle is because maybe space was an issue in the engine bay with the weird injector angle. I would email Chrysler or Mopar Performance themselves and ask if they have any record of it, if you would like me to email them I will and give them a link to this topic. Let me know. With that 23* angle on the injector it seems like a +4 or higher on fuel sync would be better for performance. Do you have any of the original brackets or rails that we can research part number on? 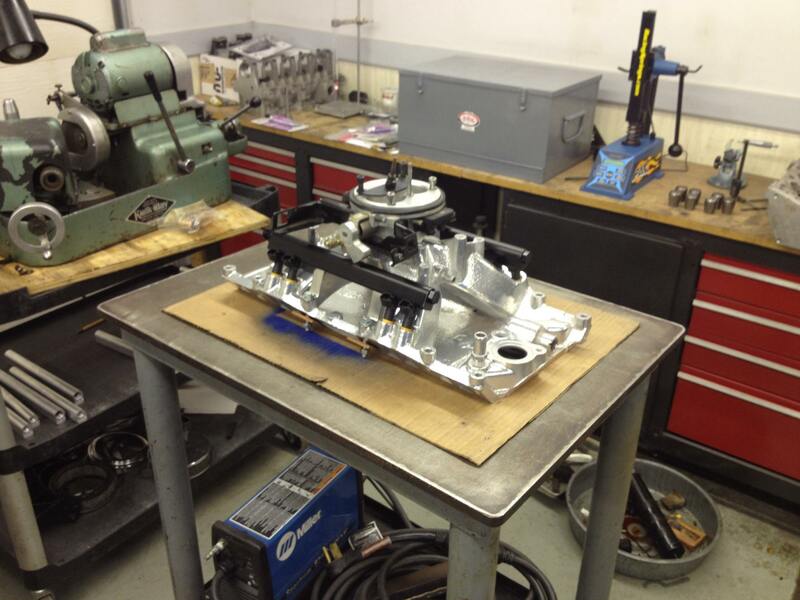 The guy got the intake only from Godfather Racing who has been sponsored by Mancini Racing for years. There is no telling who or where this initially came from. However, my father was an engineer at Chrysler and he said some of the enthusiasts would pick parts a out of the garbage that were going to be scrapped after prototyping. 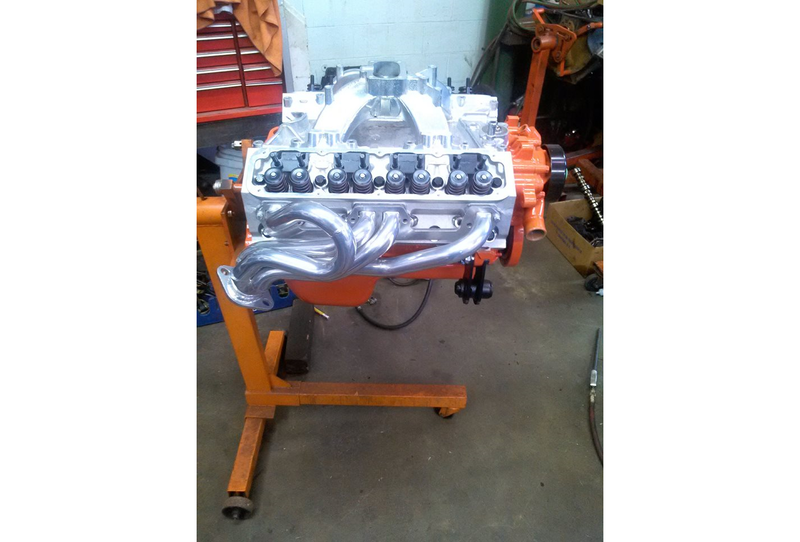 The guy bought the intake and found he couldn't run it otherwise since it is so unique. I'm glad I was able to help him out. Richard, any feedback on how this thing runs?